“Watch Me Grow” Newborn Baby Sessions are designed to capture those magical moments of a brand new baby’s first week of life. During this time your precious child will change and grow very quickly. Newborn Infants between 3 to 10 days old are photographed in a more curled up and compact fashion that artistically captures this brief and beautiful stage of their tiny lives. This highly requested look is very desirable and can only be achieved during the very early days of infancy before the child begins to stretch out their limbs and elongate their form. There is a very short window of opportunity to get these type of sleepy baby photos and the most successful sessions happen when the baby is between 3 to 7 days old. Newborn sessions can last from 2 - 3 hours and they often include relationship photography images of the infant with Mom & Dad. These photographs highlight the relationship, love and bond between you and your child. The style of the session is very relaxed with plenty of time allowed for soothing, feeding, and changes. I have an enormous selection of gorgeous props in my baby studio that are used in each session. Included are age and gender appropriate props and posing items, fabrics, luxurious furs, soft blankets, swaddling clothes, hats, headbands, diaper covers, tutus, rompers, many backdrops, floors, set ups, posing options and accessories. Also provided for your convenience is a changing table which is fully stocked with diapers, wipes, cloths and snuggly blankets just to make sure that things are that much more homier and comfortable for you and your baby. Newborn sessions are scheduled in advance in your second trimester or beginning of your third trimester. It is very important to schedule your newborn session ahead of time in order to reserve your spot. Only a limited number of newborn photography sessions are available each month. Your session will be scheduled to take place 3 - 5 days after your due date. This is a tentative date to reserve your spot that is adjusted earlier or later as need be from the date that you deliver. Newborn Session Only - includes a 2 hour session only. 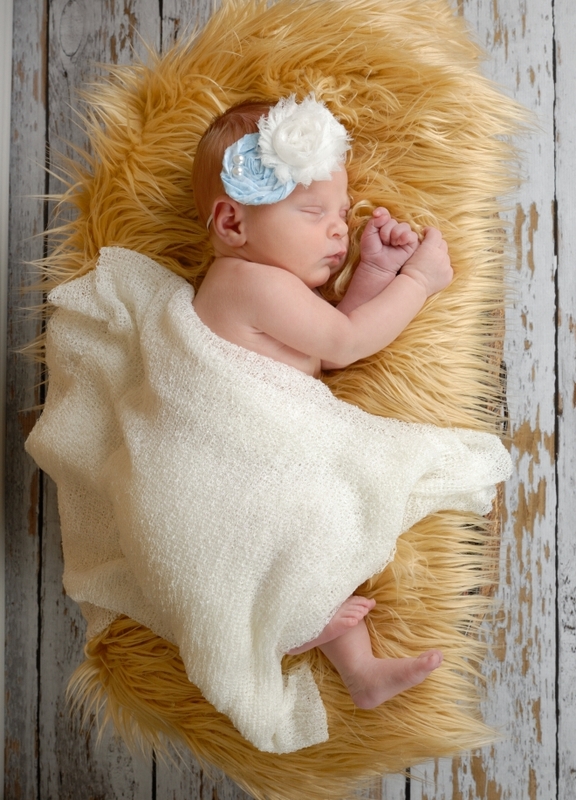 Newborn Digital Packages - include high resolution photos with print release. Essentials Digital WMG Baby Plan Package - includes 3 complete sessions of Newborn, 6-7 mo, and 1 year cake smash. The Essentials Plan includes high resolution photos with print release from each session. 2-3 hour session times for Newborn, up to 1 hour each for 6 mo & 1 year. Print Package specials and products available for purchase. Be sure to see the "Watch Me Grow!" Custom Baby Plan page for information on special FREE bonus only available at the time of booking your Newborn Session!